The new BMW M5 is making headlines everywhere. After putting it through one of their instrumented tests earlier this year, the people over at Car and Driver were even as bold to claim that the car is actually faster than a Tesla Model S which is pretty impressive, to be honest. Defeating an electric, all-wheel drive car from standstill is no easy feat to achieve but the M5 is also loved and desired for the way it handles corners. 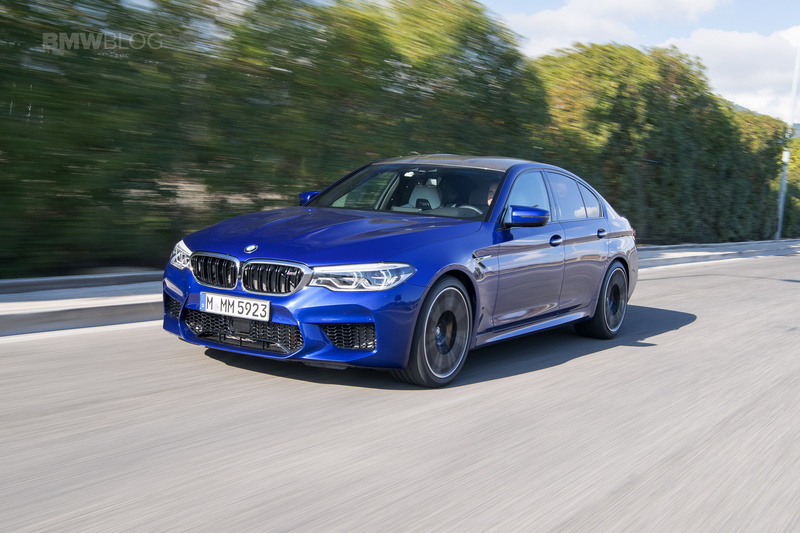 Yes, I know this is a heavy, four-door sedan we’re talking about here but the M5 definitely feels lighter on its feet than it really is and knows how to handle itself around a tricky track. Then again, that’s not necessarily big news because the nameplate the car is wearing on its boot did comes with quite the pedigree infused in its DNA. What I’m trying to say is that the M5 is expected to handle better than it should. The big news, however, is the switch to all-wheel drive which is now sorta standard. I’m saying ‘sorta’ because you can actually turn it off, even though the mechanical bits are always with you. The all-wheel drive system on the M5 can be switched between three driving modes: 4WD, 4WD Sport and 2WD. The differences between them are pretty self-explanatory but then again, a video is perfect to explain anything, let alone how a car behaves in a tight corner. That’s exactly what you’ll find at the 1:55 mark in the video below. Put together as a sort of commercial for the new M5, the video below shows you exactly what you need to know about the new uber-sedan in about 3 minutes. The most important bit, however, is the one at just before 2 minutes in, where you get to see how the car’s handling should change, depending on the driving mode you chose.